Instagram is a social networking application developed by Kevin Systrom and Mike Krieger to enable sharing of photos and was launched as an iOS app in October 2010. The Instagram app allows users to take pictures, supports edit features, and has a variety of digital filters, which resulted in the term “tweaking pictures” being coined. Users ca a picture or video, filter it to transform the image into memory for storage and posting or sharing on other popular social networking platforms. In July 2012, Instagram was acquired by Facebook at an estimated value of US$ 1 Bn. In the months that followed, the global Instagram Community registered 80 Million users, with around 4 billion photos shared globally. The same year 2012, Instagram introduced new and improved translations for 25 languages, on both mobile devices and web portals. In 2013, Instagram was introduced for Windows phone, and support over 100 Million users per month. In 2015, the global Instagram community increased to over 400 Million users, with over 80 million photos shared each day on Instagram. In September 2015, Instagram introduced business profile feature for advertising purposes, and with high adoption of Instagram Stories in 2017, there were 8 Million registered businesses using business profiles and 1 Million advertisers on the platform till the year-end. Countries with the highest adoption are currently the US, Brazil, Indonesia, Russia, and the UK. In 2018, Instagram had over 800 Million active users monthly, 500 Million active users daily, and Instagram stories had 500 Million daily active users. Moreover, Instagram registered 50 Billion photos shared, with 100 Million+ photos & videos uploaded per day, and around 60% of user’s log in daily, which has resulted in Instagram being the second-highest social networking engagement app after Facebook. An ongoing trend since 2018 is that Instagram is widely used as a marketing platform by businesses, for promotion of events or activities, sharing of food blogs, etc. Instagram has approximately 25 Million registered businesses, and over 4.2 Billion Instagram Likes are clicked on per day. On the basis of demographics, 90% of Instagram users are younger than 35 years of age and 68% of Instagram users are female. Instagram feature of video sharing and video stories called ‘Insta Stories’ is a simplified version of the feature offered by Facebook, and emphasis is more on mobile use and easy visual sharing among users or Instagrammers. Similar to other social media apps, Instagram offers features wherein a user can follow, comment, like, tag, and send private messages to other users. Instagram users use hashtags and geotags, and graphical stickers which allow them to creatively express themselves. 2010: On October 6, Instagram was launched as a photo sharing application, and had over 1 Million active users by 12 December 2010. 2011: On March 21, Instagram organized its first worldwide InstaMeet, which was a group of Instagrammers to meet, click, and share videos and photos together. The same year, Instagram was announced as iPhone App of the Year. By the end of September, Instagram introduced Version 2.0 with four new filters, and by late November, launched the weekend hashtag project #VHP. 2012: On April 3, Instagram launched its application for Android users globally. In addition, Facebook acquired Instagram on 9 April. On July 26, Instagram had 80 Million registered user accounts, launched Version 3.2 with a new filter, and Version 3.4.1 which supports 25 languages by the year end. 2013: On February 05, Instagram introduced feed on the web and features that enable tagging of photos on Instagram. On June 20, the company introduced videos for Instagram, in September announced Instagram for iOS 7, and in November introduced Instagram for Windows Phone. On December 12, Instagram introduced Instagram direct. 2014: On June 03, Instagram introduced new creative tools on Instagram and Hyperlapse from Instagram on August 26. On December 10, Instagram had 300 Million registered users sharing real moments worldwide. 2015: On April 27, Instagram launched three new filters and emoji hashtags and celebrated a registered community of 400 Million users on September 22. On October 22, the company introduced Boomerang, which collaborates a burst of photos into a mini video that can be rewinded and forwarded. 2016: On April 14, Instagram introduced video channels in Explore. On May 11, a new look for Instagram was launched. 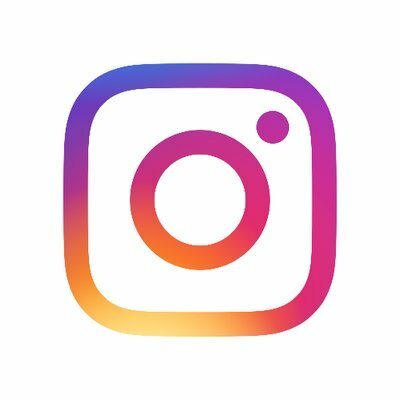 On August 31, Instagram introduced Zoom feature, and stories feature on Explore on October 18. On December 21, Instagram introduced saved posts feature, and had a registered base of 600 Million active users. 2017: On January 24, Instagram launched live stories globally. On March 22, new Geostickers for Stories was launched for Sao Paulo, and Instagram had 1 Million registered advertisers worldwide. The same year, Instagram launched a series of geostickes and face filters, including St. Patrick’s Day Stickers, Stickers in Instagram Stories for Japan and Korea, Stickers for Days of the Week, and many others. On August 31, Instagram announced access to stories features on mobile web. On January 23, the company introduced GIF Stickers that can be added to any photo or video in Instagrammers’ stories. On February 1, Instagram introduced Type Mode in stories, where Instagrammers can write creative text in various styles and use different backgrounds. On March 21, the company introduced Hashtag and Profile Links in Bio, where Instagrammers can add # or @ in their bio, and the text converts into links that lead to another profile or hashtag page. On April 10, Instagram introduced Focus feature to person stays in order to focus on a persons’ face, and then the background softly blurs. On April 15, Instagram introduced @design from the design team to support and explore various craft designs around the world. On May 10, Instagram introduced the Emoji Slider sticker. On May 22, Instagram introduced Mute feature, which allows a personalized feed and lets Instagrammers hide posts in their feed from certain accounts without unfollowing them. On June 7, Instagram introduced @mention sharing that lets Instagrammers mention someone in their story, and the person mentioned receives a notification in their direct message thread. On June 12, Instagram attached shopping module to its Instagram Stories features. On June 20, Instagram launched IGTV, which is a new app for watching vertical, long-form videos. On June 26, Instagram introduced a new explore, video chat, and many more in Instagram direct. On June 28, Instagram introduced music in stories, which is a soundtrack that can be added to a story and fits the moment. On August 1, Instagram announced the introduction of various new tools to manage time on Instagram and Facebook. The tool displays an activity dashboard, daily reminder tasks, and offers new ways to limit notifications. On October 1, co-founders Kevin Systrom and Mike Krieger announced Adam Mosseri as the new Head of Instagram. On October 9, Instagram announced new tools to limit bullying and to spread kindness by introducing new bullying comment filter to proactively hide and detect bullying comments from Explore, Feed, and Profile. On December 11, Instagram introduced the #InstaGiftGuide as a new way to shop on Instagram. Instagram is more likely to focus on engagement moves, from likes to stickers to engage Instagrammers’ followers through Instagram Stories instead of regular feed posts. In 2019, a key trend expected to proliferate growth of Instagram user base is influencers to get more authenticity of brands and users. Around 80% of Instagrammers are outside the US. Globally, the age of Instagram users is approximately 18–29 years of age. Female Internet users are comparatively higher than men with regard to Instagram app. According to Instagram, the heart emoji was used over 14 billion times in December 2018. Similarly, the happiest geotagged location in the world is registered to be Disneyland Tokyo, and highest use of 🙂 in the caption. In December 2018, Instagram registered highest use of hashtags, including community of #fortnite, fandom community of BTS #btsarmy, dance movement of #inmyfeelingschallenge, and advocacy hashtags of #metoo used over 1.5 Million times, #timesup used 597K, #marchforourlives used over 562K. Cristiano Ronaldo has the highest followers on Instagram, with over 157 Million followers. In addition, Selena Gomez has approximately 146.8 Million followers globally. Till date, Beyonce holds the most liked Instagram photo record with her pregnancy announcement, which garnered over 11 Million likes. Keyword “Instagram” is Google searched approximately 16,600,000 times per month. Of the overall Instagram user accounts globally, around 80% users follow various businesses, and approximately 200 Million Instagrammers actively profile multiple business profiles every day. In March 2017, Instagram registered over 2 Million monthly active advertisers, and this number has increased from 1 million from the previous year. An average of 12.6% Instagrammers posts have at least one hashtag to increase engagement. Among all the food items, Pizza is the most widely Instagrammed food. The most popular filters used are Clarendon, Gingham, and Juno/Lark.